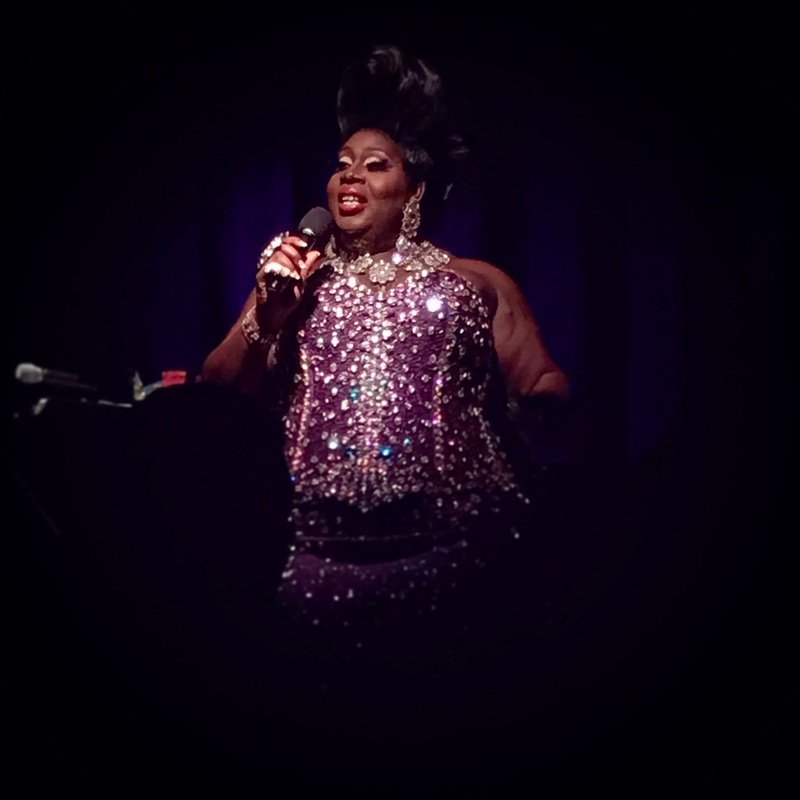 Last year, we raised a glass with Latrice Royale, toasting "Here's to Life." Now she's back telling us that Life Goes On. Returning to the Laurie Beechman once again, the legendary queen picks up exactly where she left off. And it's a night to remember. Sequels are hard. Latrice does a mighty fine job with her follow-up to her solo cabaret Here's to Life with Life Goes On. If you missed the first show, don't worry, she gives you a Cliffs Notes rundown of the previous show where she spoke about growing up in Compton, her familiar strains, and the hardships she encountered as she transformed into the Latrice Royale we know and love. Life Goes On takes a brighter approach. While the backdrop of 2016 may not have been great in the global level but for Latrice, her year was one of love, hope, and reconnection. Her stories this time around include her beautiful engagement to Christopher Hamblin, with whom she also shares the stage with. The other big headline story includes a follow up about her relationship with her brother. And spoiler alert, it's another happy ending there too. With so much love and hope in this show, Latrice is relaxed and inviting while looking exquisite in her striking stone-covered purple dress. With fame a central aspect of her life and career now, a portion of her show is spent discussing the importance of friendships, space, and knowing the truth of your relationships. Her words are universal. She jokes that the audience is like her therapist but the reality is with her great advice, she might actually be ours. You just won't believe where she learned the best tidbit. But I'll save that reveal for your night with Latrice. This wouldn't be a Latrice Royale show without song, lip sync, and a little shade. Scratch that, a lot of shade. With more of a happy tone, Latrice goes beyond the standards, including “I Can See Clearly Now,” featuring a cool arrangement, but also pays homage to her post turn at post Drag Race fame singing the fan favorite "Weight." She even gave the crowd some nuts in honor of her infamous catch phrase while singing "Hot Nuts." But when it came to bringing the house down, it was her roasting of the Season 9 queens that got some of the grandest reactions. But you can't throw shade without love. And Latrice is all about love. Art has a different impression on everyone. You can see an evening of story and song and something within can strike you in a way you never thought possible. Latrice Royale's ability to bring hope and love into her words is powerful. I know I left struck.